The price of Dogecoin—like the rest of the cryptocurrency market—skyrocketed Apr. 1 and has continued to rally since. In the midst of the rally, Elon Musk, founder and CEO of SpaceX and Tesla mentioned the meme cryptocurrency in a couple of tweets on Apr. 2. The Japanese breed of dog known as Shiba Inu was used as the mascot of the project. Dogecoin was created in 2013 by Jackson Palmer as a joke but it is now the 22nd ranked cryptocurrency by market cap. The Dogecoin market cap stands at $414 million at the time of press. Elon Musk attracts a lot of attention on Twitter and when he tweets anything crypto or Bitcoin-related, Crypto Twitter is quick to react and speculate about deeper meaning. 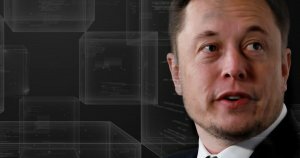 During the late 2017 bull run, Musk denied on Twitter that he was Satoshi Nakamoto after a former SpaceX employee wrote a medium post exploring the possibility. The caption in the second tweet, “Dogecoin value may vary” appears to be a jest aimed at a 2017 Onion article which suggested that the drop in the bitcoin price meant the cryptocurrency had vulnerabilities. Am considering selling https://t.co/fkJ7AkqCIj for $4.20B. Funding (not yet) secured. The joke from Palmer was in reference to a tweet in which the Tesla CEO revealed that he had secured funding to buy back Tesla shares and take the company private. Dogecoin, currently ranked #24 by market cap, is down 9.49% over the past 24 hours. DOGE has a market cap of $405.48M with a 24 hour volume of $144.61M. Dogecoin is down 9.49% over the past 24 hours. Elikem is a cryptocurrency content writer who doubles as a chess professional. He holds a BA in political science and linguistics certificate from the University of Ghana and an MBA from Nanchang University in China. Coming from a political science and finance background his interests, both inside and outside the cryptocurrency space, fall within the same areas.